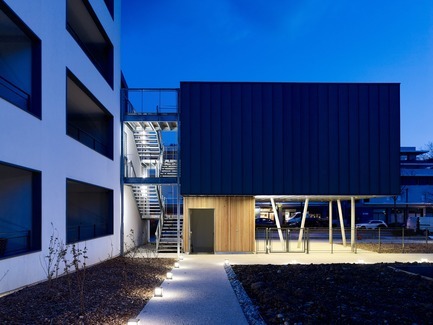 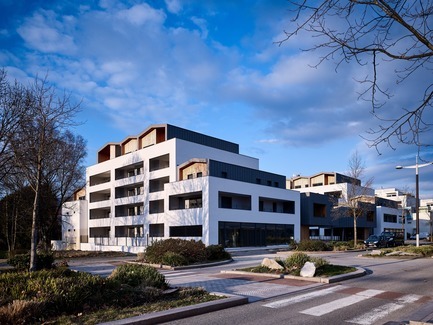 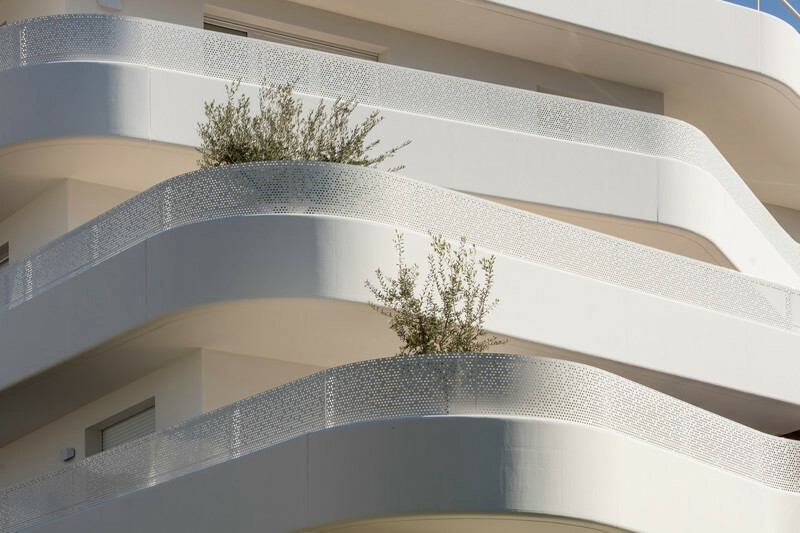 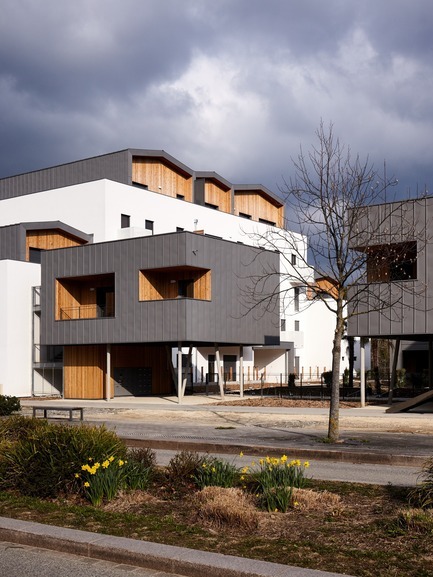 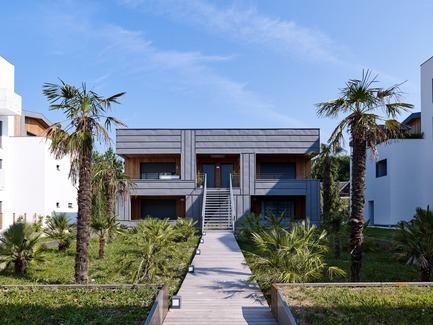 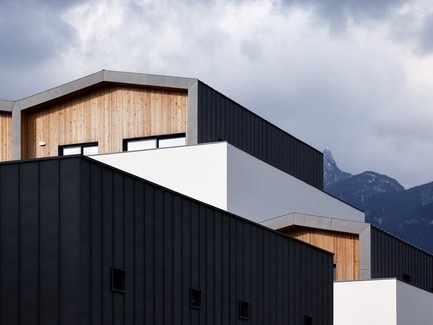 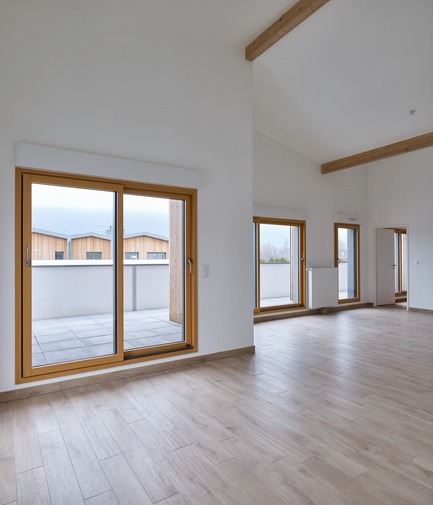 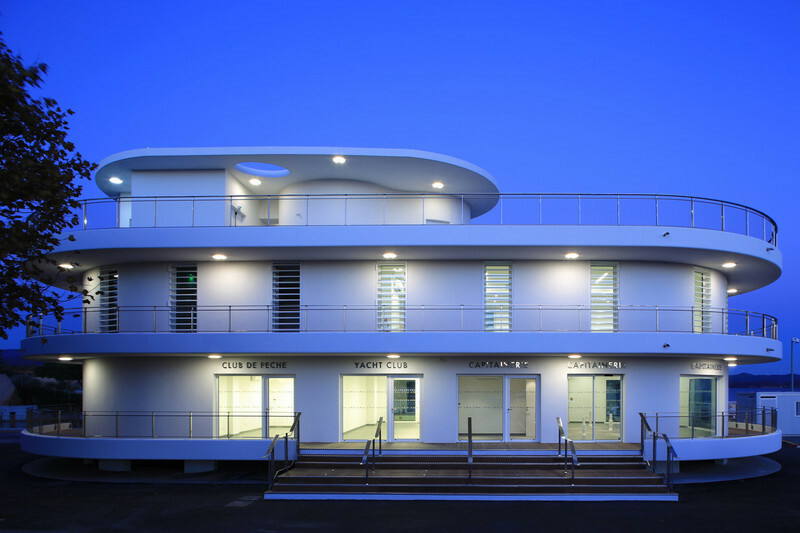 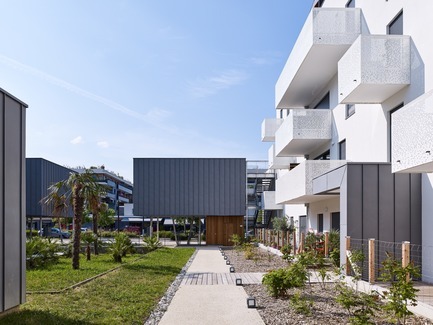 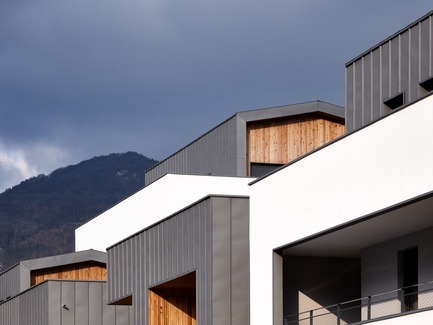 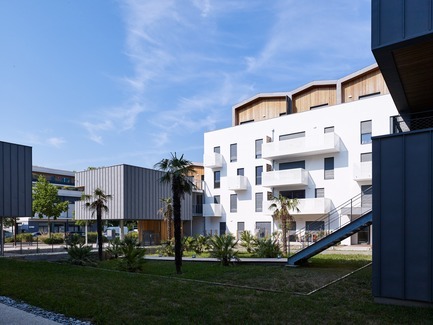 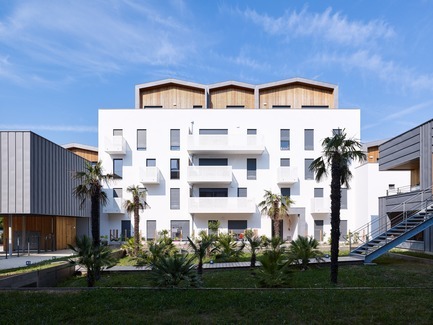 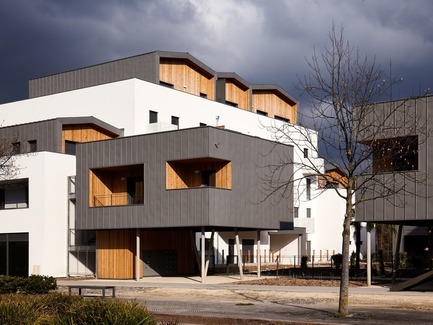 This programme, featuring 58 apartments and 2 shops, forms part of the development of the ZAC des Bords du Lac, Quartier Nouvel Aix, an exceptional, 15-hectare site connecting the historic heart of Aix-les-Bains with Lac du Bourget. 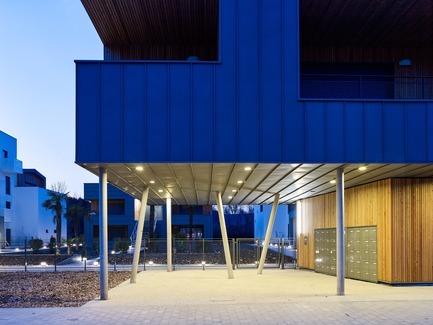 Contained in a regulated space defined by step-like volumetrics, the project has a heart of green, highlighted from the street by the design of the entranceway. 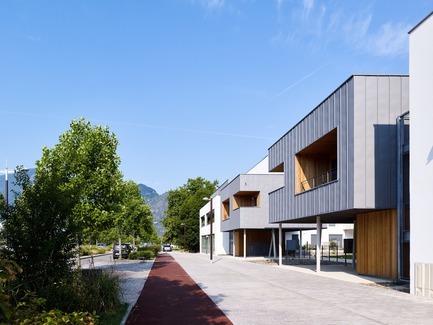 The natural materials chosen, like zinc and wood, marry perfectly with this exceptional site by the lake in Aix-les-Bains. 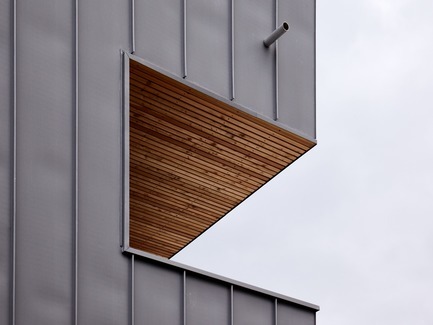 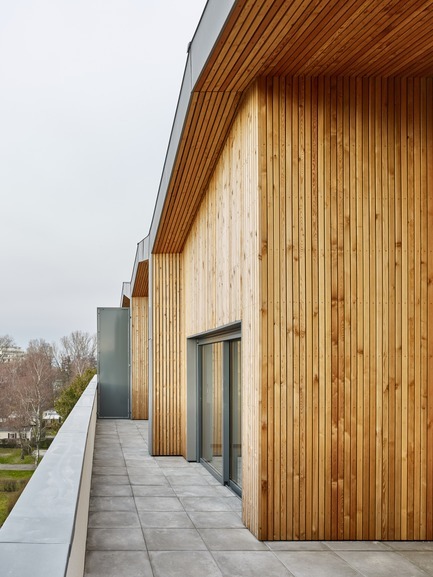 The architectural design took its inspiration from children’s tree houses and serves to confirm the close connection between the project and the sky. 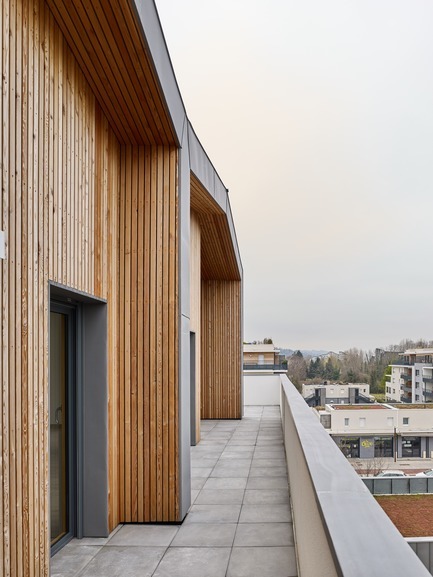 The two apartments on stilts, suspended, marking the entrance to the building, put the garden into perspective and infuse the project with a strong identity that offers residents a living space with a unique set of volumes. 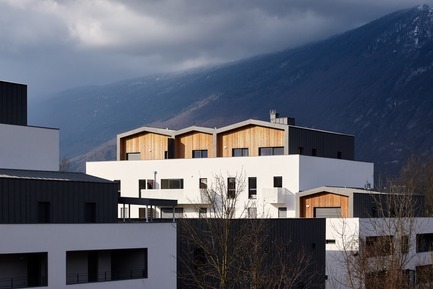 Perfectly integrating into its environment and open towards the lake and the mountains, the building, attired in materials that match the site perfectly, adeptly calls upon solids and voids to create elegant plays of light and substance. 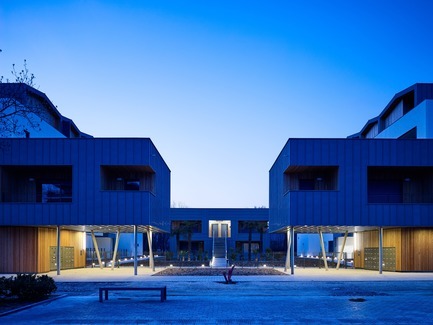 Two retail units complete the programme.